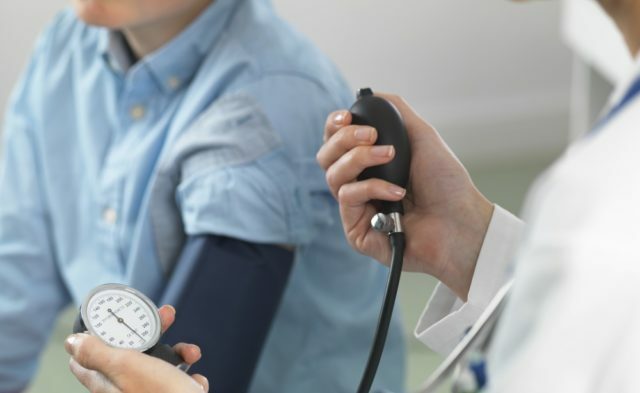 Once the new guidelines take effect, this patient’s blood pressure will no longer be considered borderline and instead will be considered hypertensive. The American College of Physicians/American Academy of Family Physicians (ACP/AAFP) guidelines recommend the use of antihypertensive treatment in individuals aged ≥65 years if their systolic blood pressure (SBP) is ≥130 mm Hg, with a treatment BP target of <130 mm Hg during therapy. In a case study of a 79-year-old male patient with borderline hypertension, physicians from the Beth Israel Deaconess Medical Center in Boston, Massachusetts, discussed his treatment options, particularly with regard to protecting him from heart disease and additional morbidity. The case and discussion were published in the Annals of Internal Medicine. The patient had been managing his BP with diet and exercise alone, and his mean 2-year office BP was 147/68 mm Hg. Once BP guidelines change, the patient’s levels will no longer be at borderline, and instead he will be considered hypertensive. He reported considering antihypertensive medications and was discussing his options with his physician, but he expressed concern that the addition of another medication would increase his treatment burden because of the number of medications he is currently taking. Jennifer Beach, MD, started the grand rounds discussion by stating that before initiating pharmacological treatment, the patient should be assessed to determine whether underlying sleep apnea or stimulant use are increasing BP levels. She supports the ACP/AAFP guidelines for determining the target BP in older adults as a means of patient management and hypertension diagnosis. As the patient is taking urate-lowering therapy, Dr Beach suggested that an angiotensin-converting enzyme (ACE) inhibitor or an angiotensin receptor blocker (ARB) would be favorable for initial therapy whereas diuretics may be used as second-line therapy. Lewis Lipsitz, MD, added to the conversation, explaining that the patient’s BP was in line with the ACP/AAFP guidelines for stage 2 hypertension. Also, because of the patient’s age, the use of a hypertensive agent may protect him from heart disease compared with older patients where treatment may present a substantially greater risk. Dr Lipsitz echoed Dr Beach’s statements suggesting that nonpharmacologic methods for BP lowering should be used before treatment. Smetana GW, Beach J, Lipsitz L, Libman H. What should be the target blood pressure for this older patient with hypertension? Grand rounds discussion from Beth Israel Deaconess Medical Center. Ann Intern Med. 2018;169(3):175-182.